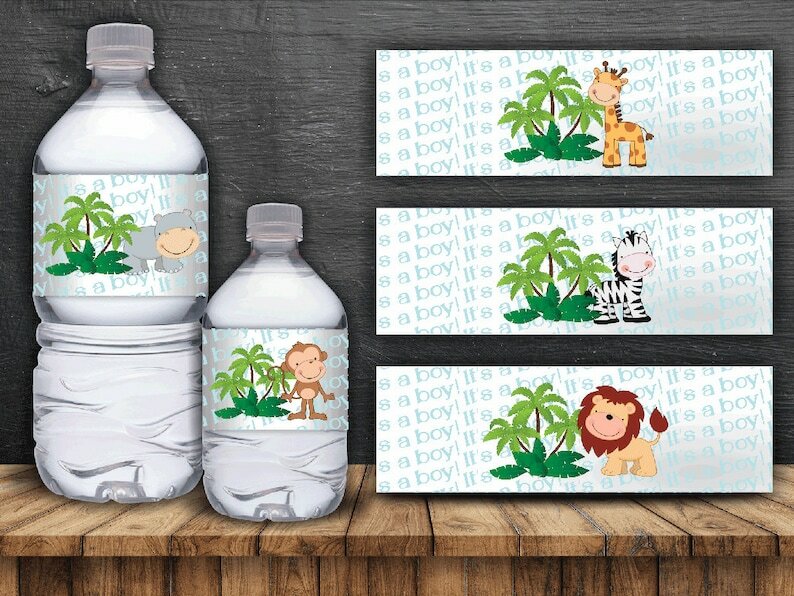 With this water bottle set you receive a high quality pdf file suitable for professional or home printing. When printing at home I recommend using a full sheet adhesive shipping label page. Then you may cut the labels apart, peel and stick them to your bottles. To make them more water resistant simply wrap over them with 2" clear packing tape.